Ice cream socials were something that we all lived for as kids. We would count down the days until our teachers would throw ice cream socials. There was a plethora of our favorite ice cream flavors, toppings, and treats that we simply couldn’t wait to devour. Nothing is better than a sweet, creamy treat after a long day of studying and learning. To throw the best ice cream social using mochi ice cream, keep reading! Not only will you be everyone’s favorite teacher, but also be a part of everyone’s favorite memories. Our mochi characters are the perfect friendly face that your students will love. 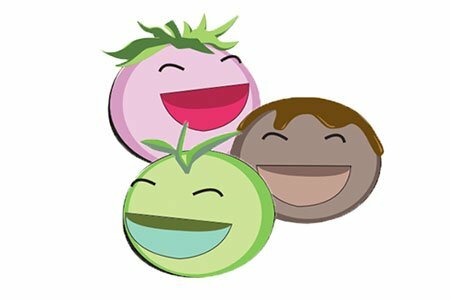 Our friendly emoji-like mochi characters are filled with personality and can help get your students excited to try their favorite flavors of mochi ice cream. Create a simple invite using a few of our mochi characters, or include stickers of the characters inside the invite to reward your hard working students. This will help you spread the word about your ice cream social to ensure your students and their friends show up to celebrate together. Decorating your classroom or other space can help showcase the culture of traditional mochi ice cream. This will let your students know the where mochi comes from, how it’s made, and how to eat it. There are many ways to decorate your space. Use festive banners, tablecloths, serving utensils, and other fun decor accents to make your event even more fun. Present toppings in takeout boxes, have your students create origami and string them along the walls, hang lanterns from the ceiling, use paper fans as a backdrop for your table—the possibilities are endless! Toppings are mochi’s best friends! There are hundreds of toppings you can use to make your mochi even better. Try a dash of rainbow sprinkles, a drizzle of caramel or chocolate sauce, top it off with a Maraschino cherry, or zest it up with some lemon curd—all of these options can be great for your students to create their own mochi creation. All kids love cookies. Mash up some cookies along with other toppings to ensure that each of your students has a variety of toppings to choose from. Everyone always asks, “How do you eat mochi ice cream?” Help your students make the most of their mochi experience by slicing up each mochi ice cream ball into halves or fourths. This will allow your students to try bites of multiple different flavors without filling up too much, and will make eating these delicious treats a bit easier for little hands. Let your students, teachers, and other staff members dig into their favorite mochi flavors. Ice cream socials are the perfect way to bring your classmates and other staff members together to celebrate and enjoy each other’s company. Young students will be able to enjoy their favorite treats while sharing their creations with other classmates they might not normally interact with. This simple act will help you create precious memories for your students and ensure they are celebrated for their hard work.